Worms, Worms 2, Worms Armageddon and Worms World Party. All great games, however they all have their flaws. 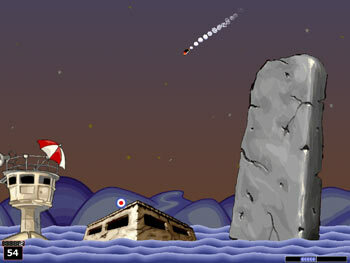 When the first Worms title came out, it changed gaming into a more fun activity, then the second one actually had some humour in it, and also multiplayer options. 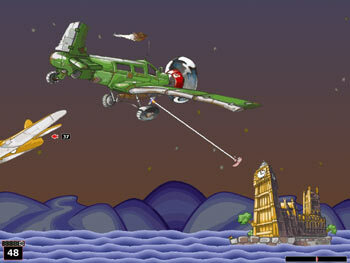 Worms 2 was such a good multiplayer game, that the developers went a bit lopsided on the single player side, so when Worms Armageddon came out, obviously the single player was improved to an extent that it was phenomenal, but unfortunately, some imbalanced weapons and a lack of excitement in the multiplayer parts, put Team17 right back to square 1. Since then, they have learned from their mistakes, and have delivered a great finally to the worms series. 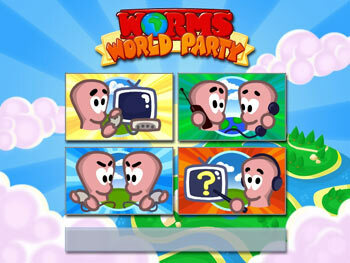 Worms World Party could not be more fun if it tried, exploding grannies, flying sheep, they all add to the humour content of the game. And the option of online play for us Dreamcast owners is an added bonus. Even though the keyboard and mouse cant be used, its not actually a bad thing. WWP really does work extremely well with the control pad, using the D-pad to move, X and B to move, the analogue stick to aim, and the other remaining buttons for different uses of weapons, all in all, the controls are very comfortable. In an age where the most high-res 3D graphics rule the games market, it is actually really satisfying to see a cutesy 2D game stand about among many of its better looking counterparts. This game is REAL humour, the taunting that the worms give each other, the actions they use, their facial expressions and their many different accents are truly hilarious. The weapons are finally balanced out properly, unlike Worms Armageddon, and a couple of comedy weapons really do make the game that little bit more exciting and enjoyable. The other thing that a lot of Worms fans will be glad to hear is that in this edition, they Worms have gone back to their roots, in the form that this game is a lot more strategy based, as opposed to the last 2 games. But WWP really starts to shine out when you get those magic numbers dialled, yes, the internet option is fantastic, even on our fiscal 33.6 modems, absolutely no flaws what so ever. Just make sure that the game you join doesn't have too many players, or you'll end up waiting for ever for your turn to come about, especially since there are some maps that offer upto 64 players. Also, I noticed that the loading times are extremely quick, as if loading from a cartridge, or it might just be my mis-interpretation, but I'm sure that they do seem very speedy indeed. Also, anyone who played Worms Armageddon on the DC might have noticed that when 4-player multiplayer time came around, you could only use control port one, so the controller would have to passed around, this is no longer a problem as you can use all the control ports to plug in your controllers. Even though WWP isn't pushing the Dreamcast in its graphical ability, far from it infact, sometimes when you start to scroll around the map it is possible to see some problems with the frame rate. Also, one major factor is the save size of the game. 49 blocks are used up from your VMU, that's about a quarter of a standard VMU, which is pretty hefty for a game that doesn't have all that much information to save. All in all, this is by far the best Worms game you are likely to find, on any platform, and as I have said before, it shines on the internet like William Hague after a turtle wax polish to his beautiful, yet very bald head. You'll have a ball of a time creating your own tactics, and laughing at the hilarious animation, as well as the immense gaming experience. Sound 10 Has to be a 10 score. The character voices are hillarious. I just adore them. Some are really cute. 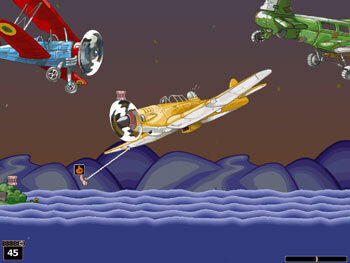 Gameplay 8 With a couple of friends, 4 player is great, on the Net its even better. Single player is an awesome addition. Lifespan 8 You won't finish this anytime soon, and if you do, just make some maps, and play them! "You can't beat this for humour and excellent gameplay. 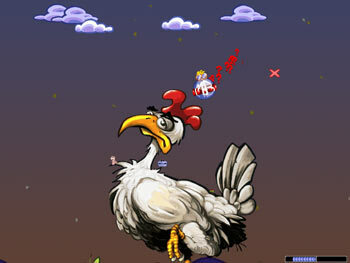 I love the worms, I love the weapons, heck, I love it all"